- Streamline the buying and payment process, and make it as easy as possible. - Help the customers all over the world discover products and manufacturers in China. Please inform us formally before our product and confirm the design firstly based on our sample. Have Speed measurement function,The Spindle actual speed is displayed on the Mach3 interface in real time. The High costs design provides a complete antijamming function and perfect security protection. 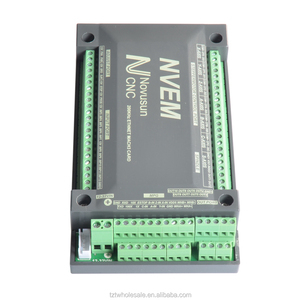 Use 10MHz highspeed optical coupling to isolate electric power. After the order have been confirmed the invoice will be sent for reference . What is your lead time 9 Answer : There are no lead times for in-stock products. Most of the parts could be shipped out within 3 days after payment have been confirmed. Fully support of MACH3 and other computer software support for parallel port control. All the way to the relay output port, control spindle switch. P1 as PWM outputs can be controlled with optocoupler input spindle governor. Q: How long is your delivery time9 A: Generally it is 3-5 days if the goods are in stock. or it is 5-10 days if the goods are not in stock, it is according to quantity. Q: What is your terms of payment 9 A: Payment&lt;=2000USD, 100% in advance. Dongguan Ouke Automation Equipment Co., Ltd.
Shenzhen Weitianlong Technology Co., Ltd.
Q: How can you guarantee the quality of the parts9 A: 3 months warranty for the used parts and 1 year warranty for the new parts. If you receive the parts but it can't work well,you can return it back to us within 7 days,we pay the come-and-go shipping fee. We often use carton to pack the parts, but if they are too heavy, we will customized the wooden box for them. 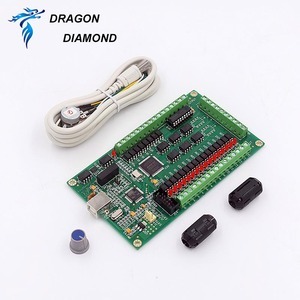 Alibaba.com offers 91 3 axis cnc usb card mach3 200khz breakout board interface products. 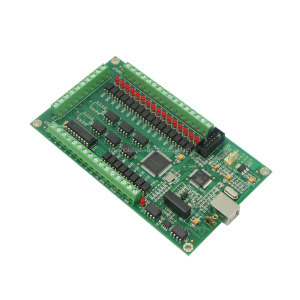 There are 11 3 axis cnc usb card mach3 200khz breakout board interface suppliers, mainly located in Asia. The top supplying country is China (Mainland), which supply 100% of 3 axis cnc usb card mach3 200khz breakout board interface respectively. 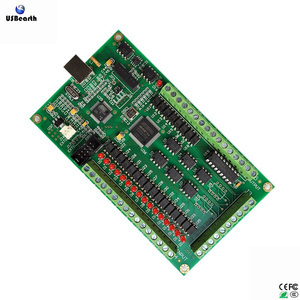  axis cnc usb card mach3 200khz breakout board interface products are most popular in Mid East, South America, and Africa. You can ensure product safety by selecting from certified suppliers, including 1 with ISO/TS16949, 1 with Other, and 1 with ISO9001 certification.